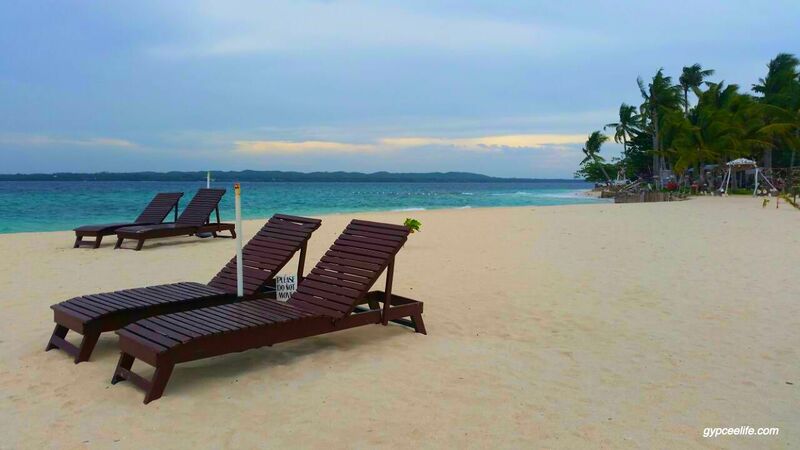 Located in the northern part of Cebu lies a small privately owned island that is part of the island group of Bantayan. When I tried googling the location of Virgin Island, search engine is directing me to Pulo Diyot. Famously known as Virgin Island, because of being uncrowded and untouched, it is called by locals as Pulo Diyot. When in Bantayan, there are a lot of tour operators offering an island hopping trip that includes Virgin Island. If you happen to ride a tricycle getting around, your tricycle driver most probably will offer you a whole day trip to this island. The moment they lay their eyes on you, they instantly know that you’re a tourist in their municipality. It’s good to have a conversation with them. They’re living in their town most of their life or probably their whole life so they have all the necessary insights about their place. Try to be friendly, and you can catch a good deal. To be able to maximize what Virgin Island can impart in you, island hopping usually starts early in the morning. The first 30-45 minutes of your time in the island hopping is spent on the travel time going to the island. In less than an hour, there you are, getting off from the boat, without looking at your footsteps, eyes are glued to the amazement of the place. The first thing that struck my eyes are the well pitched hammock in between two picture-perfect coconut trees. 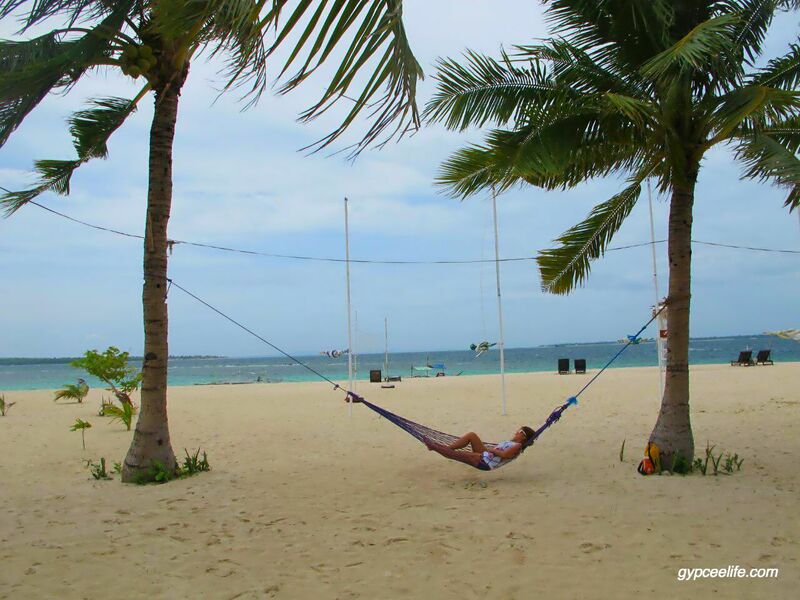 If you desire to, your whole day stay in the island can be spent just lying on the hammock. But the sea can be inviting, you cannot just resist into dipping in the seawater. The powdery white sand can also be tempting, that you can lie in there in your bikini, watching the clear blue water in front of you. Aside from the sari-sari store where I bought a pouched vinegar as an immediate medication when I was stung by jellyfish, there are no restaurants and establishments in the island. 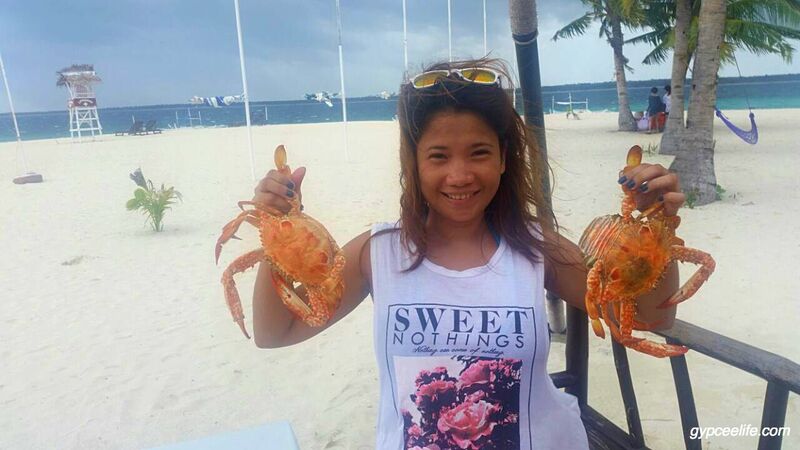 You can buy seafoods from Bantayan Island, bring it to Virgin island and the boatman will transform into chefs and they will cook the seafoods for you. After lounging on the beach, it’s going to be a seafood feast in the silence of nature. There are no accommodations here. Most are on a day trip and staying overnight in Bantayan. You can snorkel in one area of the island. The current was strong at that time so we weren’t able to do so. Aside from that, there is nothing to do but to swim, lie on the hammock, nap on the sand or just sit on the beach bench. Not that much activity but this gives you the opportunity to marvel the world, smell the salty air, appreciate the uncrowded beach, wonder at the sky and see different figures of the cloud, that you’re limitless imagination can visualize. The best part is, the island gives you the time to be silent, reflect and just be you.